Nijinsky is not your typical ballet. It’s a dark and haunting portrayal of one of history’s most lauded ballet dancers and his descent into madness. This weekend marked the opening of the second run of the National Ballet of Canada’s acclaimed production, following the success of its 2013 premiere. 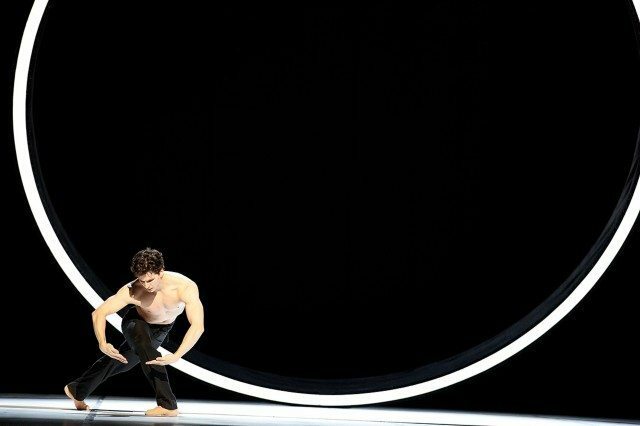 Choreographed by John Neumeier, it was originally intended for the Hamburg Ballet when conceived more than a decade ago, but it was the National Ballet of Canada that first danced the production last March. It’s part of the company’s deliberate shift toward producing “story” or “narrative ballet”—a move that is capturing attention around the globe and vaulting the National Ballet into a new era. Narrative ballets, including traditional productions The Nutcracker and Swan Lake, typically feature more well-developed characters and elaborate costumes. They’ve become a crucial part of the National Ballet of Canada’s repertoire, and have provided it with new performance opportunities. In 2012, the National Ballet performed Alexei Ratmansky’s take on Romeo and Juliet in London, U.K., marking the company’s first appearance in that city in 27 years. Then, in September, the National Ballet brought Alice’s Adventures in Wonderland—in co-production with the Britain’s Royal Ballet—to New York City, where the company performed at the prestigious Lincoln Centre for the first time in 26 years. After several decades of relative obscurity, Canada is once again becoming a player in international ballet. The National Ballet’s approach to traditional stories is turning heads elsewhere, while original and unconventional ballets like Nijinsky and Manon, the latter of which opened the season, are wowing audiences here in Toronto. If you ask Côté, he’ll tell you that, while much of this can be attributed to the National Ballet’s investment in narrative productions, there’s also something to be said for the beauty and growing attraction of dance as a medium. “In ballet, things don’t have to be as linear and things don’t have to be explained, but things have to be more emotional, they have to be more real in a weird way,” Côté says. Often called a “multitasking dancer,” Côté is honing his skills as a choreographer and is currently working on an original production for the National Ballet called The Little Prince, based on the novella Le Petit Prince by Antoine de Saint-Exupéry. One of those people is designer Michael Levine, who has designed sets at opera houses in Canada, Paris, Vienna, and beyond. While the production is not expected to be complete until June 2016, the National Ballet’s support for it is part of the company’s commitment to telling experimental stories and putting its faith in developing talent. The National Ballet’s partnership with the Royal Ballet is a promising new venture for the Canadian company. In April, the two co-produced The Winter’s Tale, based on William Shakespeare’s play of the same name. It premiered in London in April, and will come to Toronto for the 2015–16 season. “Like the play,” wrote the New York Times in a review of the London performance of The Winter’s Tale, “the ballet has taken us through a large arc of human experience”—which is exactly what Côté said dance is supposed to do. CORRECTION: November 26, 2014, 1:53 PM This post originally stated that the National Ballet performed Romeo and Juliet in London last year, when in fact the year was 2012. In addition, the post stated the National Ballet performed at the David H. Koch Theatre for the first time in 35 years, when in fact it was at the Lincoln Centre after 26 years. We regret the errors.